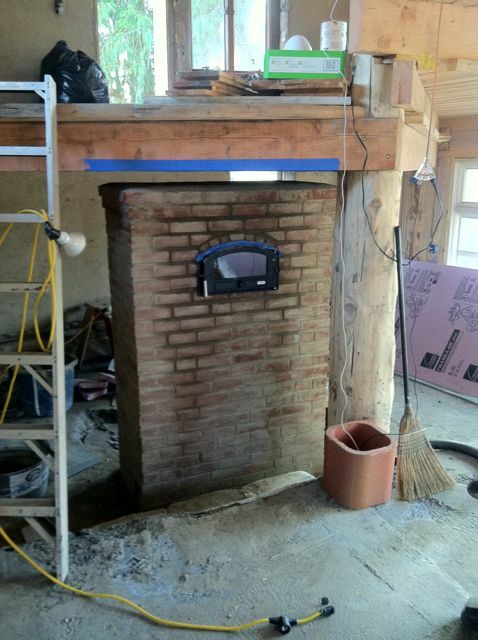 This Finnish style contraflow heater was a workshop build in collaboration with Scott Howard of Earthen Hand Natural Building. 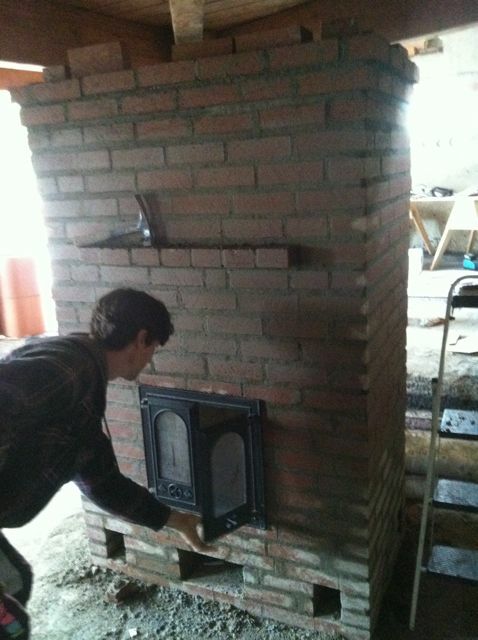 This heater was built with traditional methods using mostly red clay bricks laid in clay mortar made from local soils. 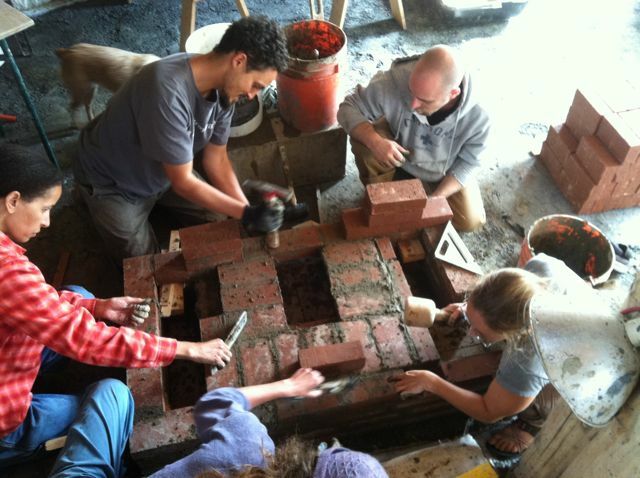 Project started with workshop participants mixing mortars and laying bricks. 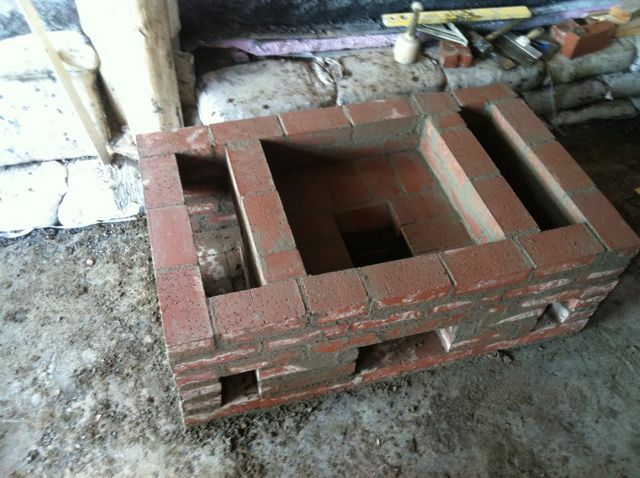 Lower part of heater ready for firebox liner. 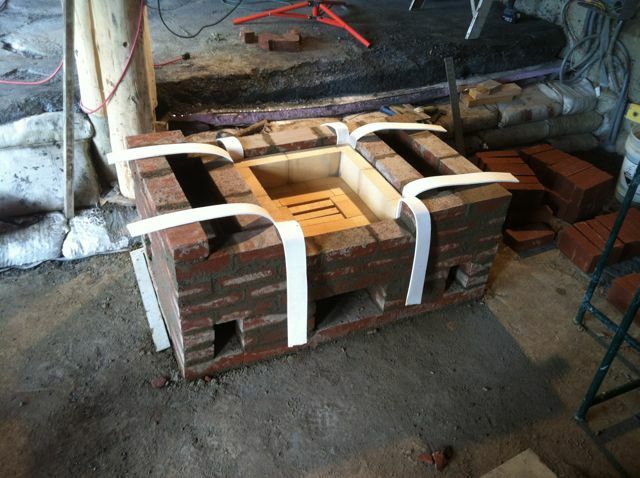 Firebox liner being constructed from firebrick and refractory mortar. The white strips are ceramic gaskets for expansion joints. Front of heater as viewed from sitting area. Rear of the heater with an oven door facing the kitchen.